What is Satsang and its importance in religious life? Do not have evil-doers for friends, do not have low people for friends. Have virtuous people for friends, have for friends the best of men - Dhammapada (78). The idea of satsang as a spiritual or devotional activity is well known to the followers of Hinduism, Buddhism, Jainism and Sikhism. Generally speaking, satsang is a congregation of religious or spiritual people who assemble together to listen to a guru or a religious discourse or participate in some religious or spiritual activity such as devotional singing, dancing, meditation or concentration. Serving those who participate in such activities is also considered part of satsang only. Satsangs provide people with an opportunity to keep themselves engaged in divine centered thoughts and actions and remain focused on their respective paths. Properly conducted satsangs can generate powerful, cleansing, inspiring and purifying thought vibrations which can uplift the people who participate in them and also sanctify the place in which they are organized. Literally speaking, sat means truth and sang means to be with or associated with. Satsang is therefore friendship or association with truth itself. It can be practiced either by remaining in the company of a truthful or pure being such as guru or a monk or in the company of people who are devoted to God. Friendship with a spiritual person is also a form of satsang only. Thinking of God or divine thoughts, reading spiritually inspiring books, visiting a temple or place of pilgrimage are other forms of satsang. Some people are fortunate enough to be born in a family of highly spiritual beings. For them life will be a continuous satsang. Others have to find either spiritual people or some other means to practice satsang. On a much deeper level, satsang means to be with or remain associated with the inner quality of sattva or purity. Sattva is one of the triple qualities of Prakriti (nature), the other two being rajas and tamas. The quality of sattva manifests in human beings as knowledge, peacefulness, contemplativeness and thoughtfulness. People in whom this quality is predominant possess superior wisdom and knowledge and are usually drawn into devotional and spiritual way of living. Their thoughts revolve around God and they seek to liberate themselves from the bonds of ignorance and the cycle of births and deaths by surrendering themselves to God and leading divine centered lives. A sattvic person is a natural satsangi. Whether he is in the company of others or alone, he is always in satsang or in association with the good and the pure. The purpose of a satsang is to develop the quality of sattva through spiritual friendship or association with sattvic people. . The quality of rajas drives people into restless activity. Rajasic people are driven by an intense desire to prove themselves to others. They are self-centered in contrast to the sattvic people who are divine centered. Driven by passions, emotions, egoism and pride, they consider themselves as the doers and attribute their successes and failures to themselves or to their innate abilities and talents. Their belief in God is influenced by their personal goals and inner needs. Their relationship with others and even with God is conditional. If they are disappointed or suffer some set back, they would not hesitate to condemn God or question His very existence. The moral leaders of the world who preach but seldom practice and the religious bigots who inflict mass suffering on humanity as self-styled soldiers of God belong to this category. One should stay away from such crowd if one want to have peace of mind and inner stability. Unfortunately in the present day world, many religious institutions are managed by rajasic people who cause a good number of problems to to themselves and to others because of their egoistic attitude. The quality of tamas is responsible for lethargic and insensitive behavior among people. Tamasic people are usually disinterested in God and seldom drawn into active and disciplined life. Because they are insensitive to others and to their own inner feelings, they often indulge in cruel and criminal behavior causing pain and suffering to others. They are also drawn to intoxicating substances and food that causes lethargy. Even if they believe in God, they usually resort to secret cults and unusual methods of self-torture and self-destruction to achieve self-realization. Tamasic people are usually negative and pessimistic. They drain away other people's energy by raising objections or discouraging them from taking any action. They always have an excuse for not doing things or doing things in a negative way. Prone to addictive habits, they also suffer from extreme mood swings and bouts of depression. One should stay as far away as possible for such people. By joining a satsang one can improve the quality of sattva and suppress rajas and tamas. As the mind is drawn more and more into divine centered thinking through association with like minded people, the quality of sattva increases. People who participate in them regularly become more reflective and intuitive. Their minds come to rest and their senses become quieter. Their egos yield place to the working of the purifying and cleansing energy and the awakening of the dormant energies. This process may however take years and not by satsang alone. But satsang can definitely help people in stabilizing their minds in divine thoughts and developing the quality of sattva that is so important for transforming the lower self. Satsang is therefore spiritual friendship or association. In the modern world, in the midst of many distractions and allurements, people can practice it in many ways, not just through the traditional methods of meetings alone. It can be practiced even when one is physically alone by staying focused on the thoughts of God and the path of liberation. On the path of liberation the distractions are many and so are the challenges. But one can over come them by strengthening the quality of sattva. Some of the means to practice satsang in the present age are suggested below. The self is the inner most and hidden aspect of our personalities. It is the state of "I am" that remains in the background and silently observes whatever that is going on. You can feel its presence during meditation and by becoming your own observer as a detached self. Usually it happens due to the grace of a Guru or God himself. Some times it may begin as a mental process which gradually becomes an ongoing reality. Those who are not fortunate enough to have this experience should practice detachment, cultivate the virtues of dispassion and devotion and remain themselves focused on this inner self till they experience it in their deepest state of meditation. To dwell upon the thoughts of the inner self is the best form of satsang. Friendship with self is friendship with God. Consecrating everything to the self, attributing all your actions to the self and seeking its involvement in everything you do is the highest form of satsang you can practice as an individual all by yourself. By doing it you can achieve the true satsang or oneness with self. This is satsang at the spiritual level. The mind or manas is a lower form of consciousness. It is a platform on which every kind of thought form arises and subsides. The mind has no discretion of its own. It is a play ground of thoughts. Any thought and every thought that can gain entry into it can stay there and do its routine. Higher than the mind is chitta or buddhi, the discriminating spiritual intelligence which is also called jnana in contrast to the materialistic and logical knowledge of the mind known as vijnana. Chitta is the metaphysical mind and manas the physical mind. Chitta has the ability of hamsa (swan), the vehicle of Brahma, in separating the pure from the impure and good from the bad. This discriminating ability comes from knowledge (jnana) gained through experience or the study of scriptures or by listening to the words of enlightened masters. One has to use this discriminating ability or buddhi to remain focused on pure thoughts, thoughts that are spiritually helpful, purifying, inspiring and elevating, thoughts that can neutralize negative and harmful thoughts of others and thoughts that can help the mind stabilize itself and establish itself in the divine. In the modern world we have several opportunities to remain focused on pure thoughts. We can use the power of discrimination to make the best use of television, internet and the news media. 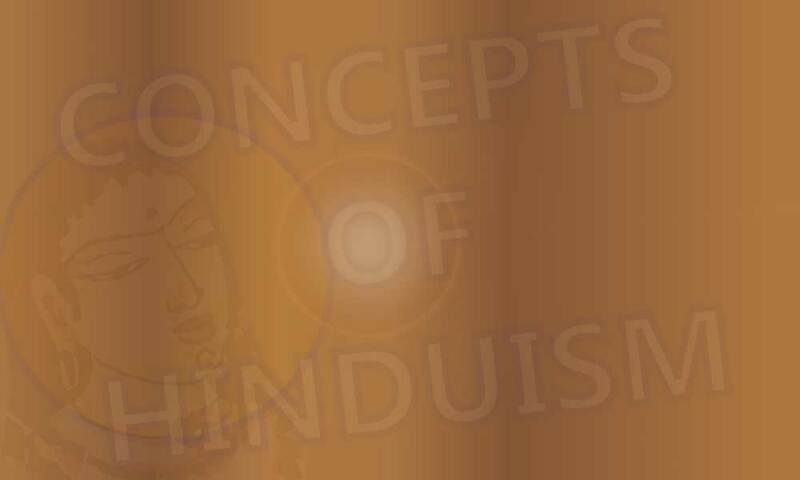 We can use the right kind of websites, such as Hinduwebsite.com or the right kind of message boards, news groups, magazines and television channels to stabilize our minds on good and elevating thoughts. We can select inspiring and purifying books such as the Bhagavadgita, the Upanishads, the Adigranth, the Dhammapada, the Bible or the Koran and also the works of enlightened masters and gurus. Cultivating the friendship of pure and elevating thoughts is satsang at the mental level. The ultimate form spiritual friendship is friendship with the whole of creation, with no particular objective or interest in mind. It is an expression of one's love and admiration for God and His entire manifestation. It expresses itself as unconditional love, unbound compassion and universal brotherhood. It is an acknowledgement of God's omnipresence and omniscience, a token of one's surrender to God. This idea reached its culmination in Buddhism in the idea of Kalyana Mitrata (auspicious friendship) and is also reflected in the teachings of Christ when he exhorted his followers to love their enemies. His assurance of atoning the sins of people who acknowledge their mistakes and turn to him for forgiveness was born out of this love. Shravanam: Listening to the names, achievements and greatness of God. Kirtanam: Singing or reciting the names, achievements and greatness of God. Smaranam: Recollecting the names and greatness of God. Pada-sevanam: Serving at His feet..
Archanam: Worshipping the form or image of God ritually. Vandanam: Offering obeisance to God by joining the hands or prostrating before Him. Dasyam: Acting as a servant of God. Atma-nivedanam: Submitting or surrendering oneself completely to God. Friendship with God requires whole hearted approach and unwavering faith. Renunciation is an act of sacrifice in which all notions of attachment with samsara (causative world) are set aside in the pursuit of truth. Devotion is a declaration of love while renunciation is the highest form of devotion in which one leaves behind everything and surrenders to God and His total care in order to be Himself eternally. True satsang is realization of self or the union of the individual self with the Highest self. Hinduims is a way of life - the true meaning.